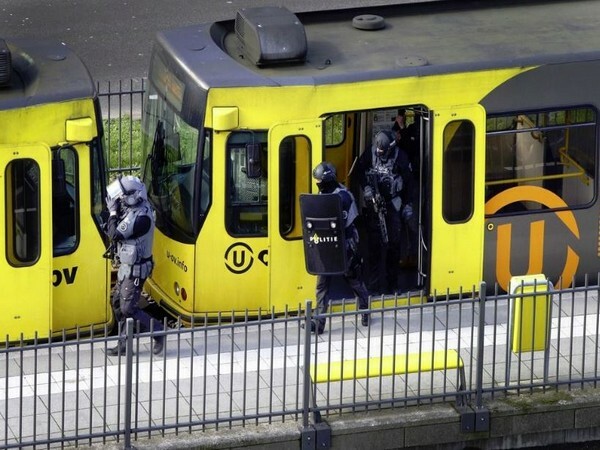 Police search a tram after a gunman opened fire in Utrecht on Monday. Utrecht [Netherlands], Mar 19 (ANI): Netherlands authorities are investigating the motive behind the shooting in a tram that took place on Monday here leaving three people dead and five injured. Suspect identified as 37-year-old Turkish-born Gokmen Tanis was arrested on Monday after hours of a manhunt. The authorities informed that there is no direct link between the suspect and the shooting victims, reported Voice of America. Dutch authorities have arrested two other people along with the main suspect; however, their possible role in the attack is not clear yet. Following the arrests, Dutch authorities downgraded the terror threat level in Utrecht province to Level 4, which was raised to 5, during the attack, meaning critical. Police said that they were considering "a possible terrorist motive" for the shooting. Terming the attack as a "deeply disturbing" one, Dutch Prime Minister Mark Rutte said the shooting was “an attack on our tolerant and open society." Security has been beefed up across the country in the wake of the attack with heavy deployment of police at places of worship, railway stations, airports, government buildings, and educational institutions.